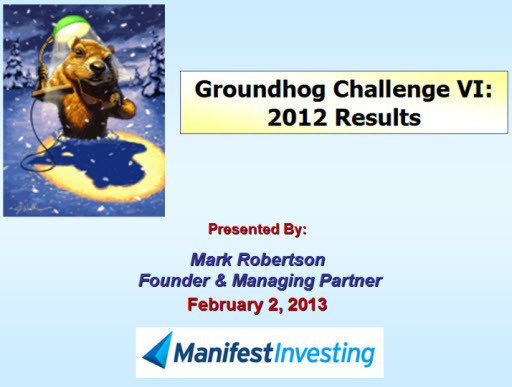 At Manifest Investing, we celebrate Groundhog Day by ending one annual stock picking contest (Groundhog VI for 2012) and starting another (Groundhog VII). 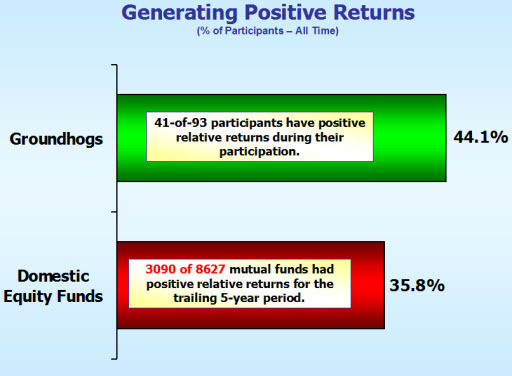 Any and all investors are welcome to participate either individually or as part of a group. 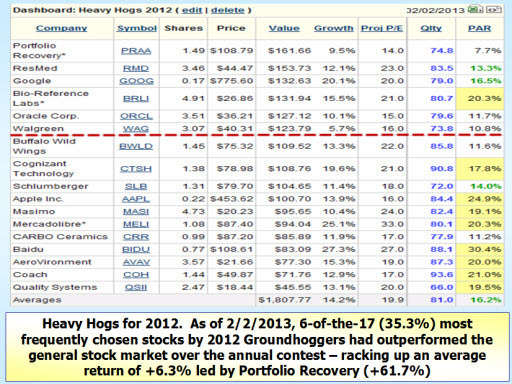 For 2013, participants may select as few as five investments (stocks or funds) with a maximum of twenty. 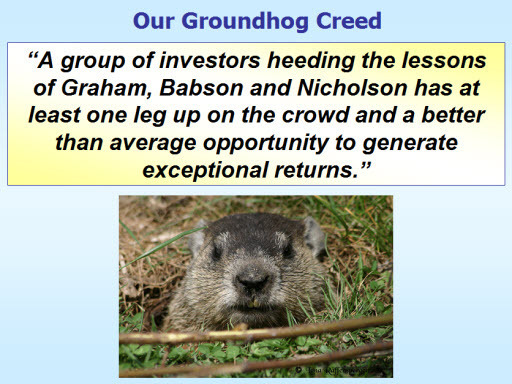 $1,000,000 will be divided among the entry positions and we’ll create a dashboard and track entries from Groundhog Day to Groundhog Day. 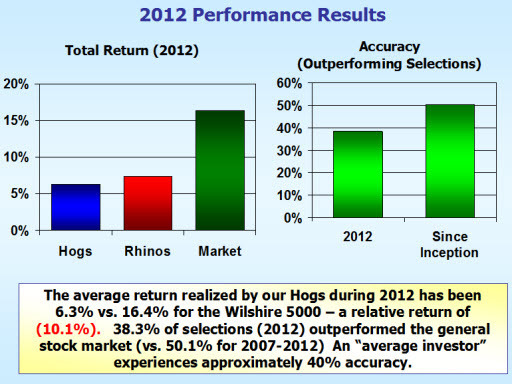 The early years were phenomenal as you’ll see in the following slides — and performance has become more normal than we’re accustomed to seeing the last few years. 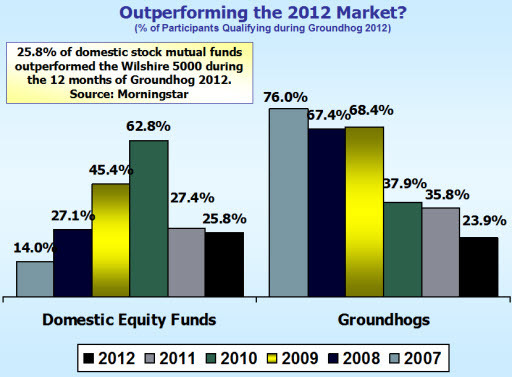 Even with that, our Groundhog Nation generally outperforms the herd of analysts, pundits and institutions with many participants sporting lofty alphas (relative return) over the years. When Punxsy Phil sees his shadow, we think it has less to do with the weather and more to do with positive trends and achievements for us next year and beyond. 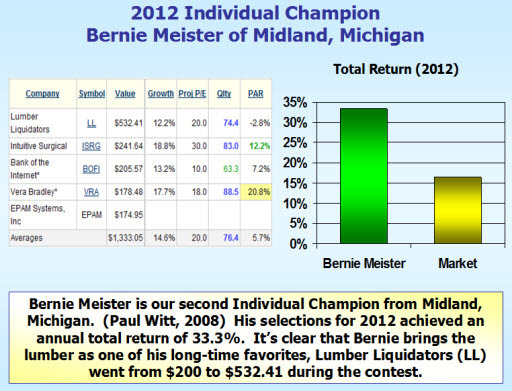 Good luck to the 2013 field.